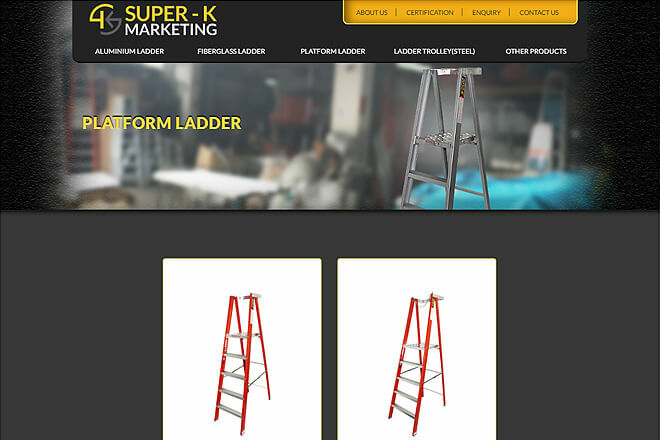 Super-K Marketing Pte Ltd was established in early 2000 in Singapore, and is one of the expert aluminum and fiberglass ladders manufacturers in Singapore. With more than 10 years of experience, their customers, both from local and overseas including India and Dubai, consists of various industries such as offices, industrial buildings, constructions, and houlse-holds. 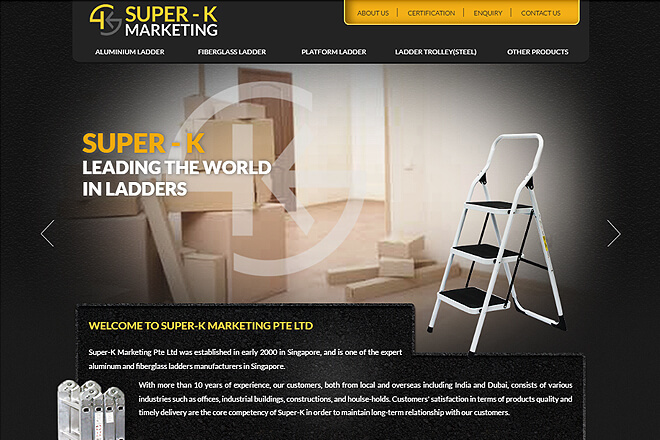 Customers' satisfaction in terms of products quality and timely delivery are the core competency of Super-K in order to maintain long-term relationship with their customers.